As long as businesses have been using buildings, facilities and equipment, those amenities have required repair and maintenance. It would seem that the market is not new and experience should have been accumulated by now. Yet, poor maintenance is too common. One of the main reasons is overloaded and less then user-friendly software for optimizing these processes, which makes the operation far less effective. But there is good news. A simple and functional automation tool is not a utopia. Nikita Alatyrev, creator of the KSUTO maintenance management system, shares the story of development of the solution from scratch. In 2013, Nikita was an engineer at the Sakhalin-1 oil and gas project, where a need for automation also arose. The project did use some software, but the system was not powerful enough to cover and automate all the maintenance processes. The available solutions were either outdated applications that took too much time, or Excel, too general and unreliable. The company failed to find a product that would be effective, convenient and easy to use. Moving to Moscow in 2017 gave him a fresh impetus. Alatyrev decided to independently develop a professional tool for automating the processes of equipment maintenance and repair. The young man was confident that creating a helpful product intuitively clear to every worker did not require a narrowly specialized engineer. His goal was to provide the market with a simple, valuable and useful tool for improving the quality of management processes in maintenance and repair, so that any user could figure out how it works in half an hour and start using it from the first day. However, Alatyrev thought he did need an engineer to draw up the technical design specification – someone who would have full information about the necessary functions and features of the system. This is how the KSUTO project was launched – an integrated maintenance management system which would help the owners of facilities, structures and equipment manage their maintenance and repair. Alatyrev was the main ideological inspirer and initiator of progress. He is now responsible for the system’s facade, its functionality, as well as the promotion and development of the product. In 2018, Nikita was lucky to meet the future technical director of the company, who is actually developing and writing the code. 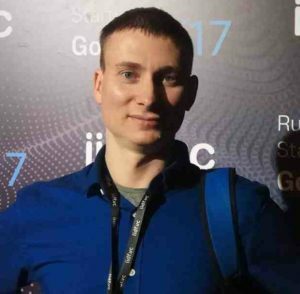 Alatyrev never planned a bigger team; he believes everyone should do their own piece of work, while having two or more programmers would only add confusion and discrepancies. Strategic partners of the company help find the leads and promote the product. Moscow gave Alatyrev the opportunity to study managing the startup until its actual launch. Skolkovo, Higher School of Economics’ business incubator, RUSSOL startup school, and the Internet Initiatives Development Fund conduct a large number of events for aspiring businessmen. Visiting meetings related to business management, studying the experience of other companies, and meeting new people provided food for thought about his own project. It required a total of RUR 1 million ($15,300). Partnership with the experienced IT company PropTech Russia allowed for a proper development of the project. The development phase took a year, starting with the idea that originated 2017 and ending with entering the market in September 2018. The product cost is being established and varies between RUR 45,000 and 360,000 ($689-$5,508) per one quarter. KSUTO is a complex system of technical maintenance management. 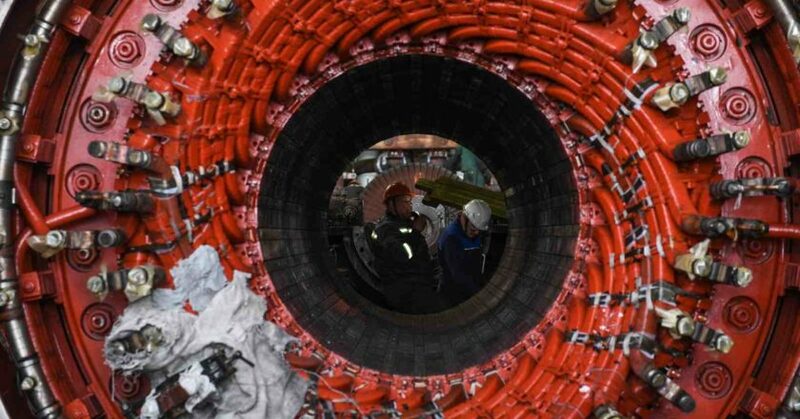 Its was developed by relevant engineers: the program was created by professionals in maintenance, repair and operations. Often, software programs are created by IT specialists unfamiliar with the business environment of the launched product: hence the problems with overabundance of functions and the complexity of usage. In this case, the product was developed from scratch by specialists in technical maintenance and repair. No one could better describe all necessary functions of the program. In addition, upon the launch of the pilot version, all program users become its architects by offering better solutions and punting out inaccuracies. This is the service’s main advantage – a constant contact with workers directly involved in the business sector. Today, the KSUTO system has different clients, ranging from large companies owning 20 buildings to multipurpose complexes. KSUTO consists of five modules: Planning, PM Schedule, ON-AIR, Warehouse, and Statistics. The software allows loading the equipment of virtually all countries. If connection to control and measuring instruments is required, the software will collect indicators. The program shows the list of all tasks for a day on one screen. It took two technicians aged over 45 only half an hour to get a grasp on KSUTO. This is an exact evidence of achieving the goal. KSUTO’s target audience includes real estate managing companies and owners of buildings, equipment and facilities. Today, the system is already used by real estate managing companies: an order for the software program has been recently received from a state university, worth several hundreds of thousands of rubles. The KSUTO system is primarily targeted at the Russian market. The system is stored in Moscow’s cloud server, which makes it easily available for the regions. But the director is not going to remain complacent: the plans include entering CIS markets as the product will be relevant in any territory that has buildings and equipment.